I'm wiggling in my seat over here as I type, knowing that in just 7 short weeks, we'll all be here in person, co-creating magic and yum. Whee!! I'm officially launching us here with the somewhat-detailed Retreat Questionnaire -- thus begins the journey! Are you ready? I thought so! Looking forward to hearing your goals and intentions. If you'd like to copy-and-past 'em on our private Discussion Forum, GO HERE. Set aside 15-30 minutes to complete this questionnaire, since there's no function that allows you to save it to come back to it later. As we begin to shape and hold the container for what wants to happen in our time together, I'd love to have a current snapshot of you! Answer as many or as few of these 6 questions as you like, knowing that we will return to them again. What 3 'items' would you like to bring attention and expansion to? Think of your 'items' as little acorns -- issues, problems, concerns, stucknesses, constrictions, wishes, dreams, as-yet-unrealized potentials -- that with our time together may begin to transform and shift, and ultimately, take root, expand, blossom and bear fruit. What are your secret fears about participating in the retreat? What one bare minimum, non-negotiable result would make the retreat worth your investment of time, money and energy? In other words, what's the very least you could hope for? From THAT place, what one result would surprise and delight you beyond words? What one result would be so sweet and tender and exquisite that you almost dare not even express it aloud. In other words, what's the very most you could hope for? What questions or concerns do you have for me at this time? 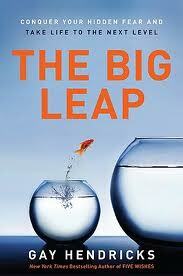 If you've not already read the book, The Big Leap, by Gay Hendricks, please do so before the retreat. And if you have read it, I recommend reviewing it, particularly the first half of the book. Book can be ordered HERE. Kindle version can be ordered HERE. The retreat includes a Welcome Dinner, a Farewell Dinner, all lunches and all snacks. Rani Olson, a friend and brilliant local chef, will be preparing our transcendently delicious vittles. 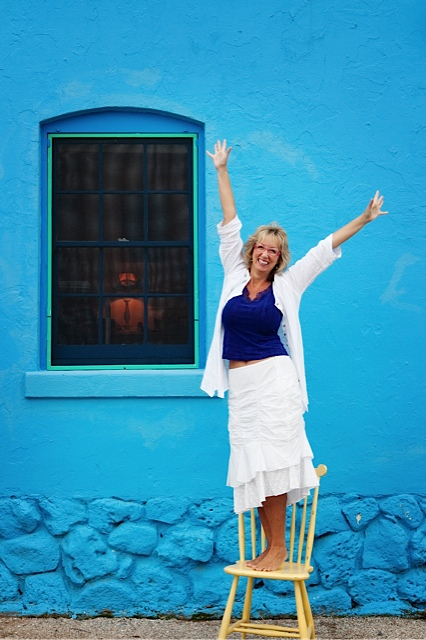 You can learn more about her and her restaurant at Food for Ascension Cafe. She is happy to work with any food requests and/or limitations, so feel free to let us know your preferences and we'll make sure they're incorporated. Of course, you're more than welcome to use my fridge and kitchen to store/prepare any of your own special things that you know you can't live without! Some photos may be taken during the retreat for possible use on my website, promotional materials/outlets for future retreats. By registering for this Retreat, you understand and agree to the following Policies, Terms and Conditions. If you need to cancel before December 6, 2013, you are eligible for a refund of everything except $100. After December 6, 2013, refunds are not available but you are welcome to give or sell your spot to someone else. I will assist however I can to help you fill your spot, so that you may recoup your investment. If I need to cancel the retreat for any reason on my end, you'll receive a full refund of your retreat tuition. As with all events of this kind, you are advised to consider purchasing travel insurance. TravelGuard is a trusted provider.